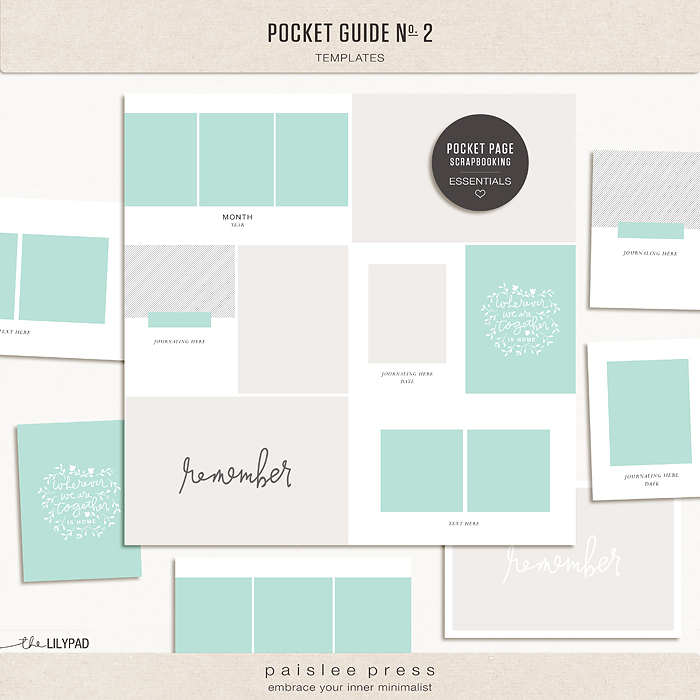 Featuring minimalist grids, white space and thoughtful font pairings, Pocket Guide Templates are designed to let your photos shine. Set No. 3 includes 10 photo spots, perfect for showcasing a variety of events and everyday moments throughout the week. 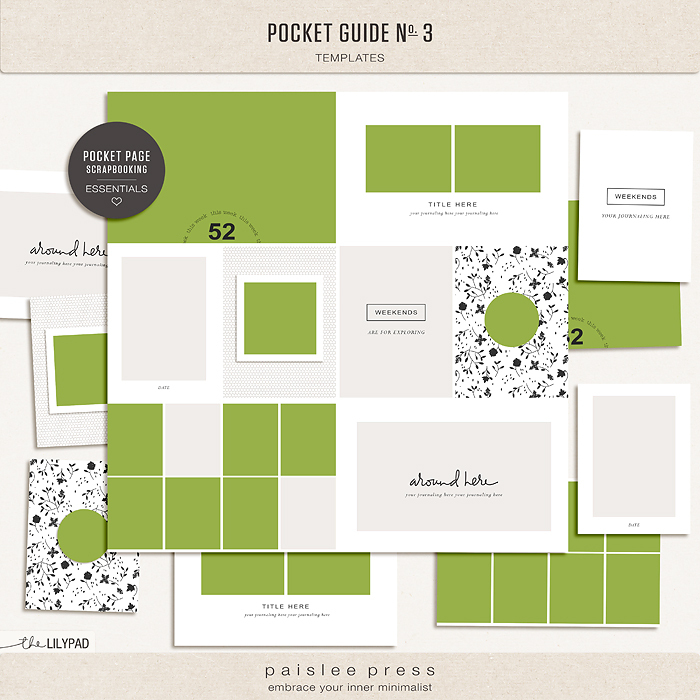 Use the 12x12 template to easily design a full pocket page or use the individual 4x6 and 3x4 "pocket" templates. Template includes easy to use clipping masks and all text layers are fully editable. 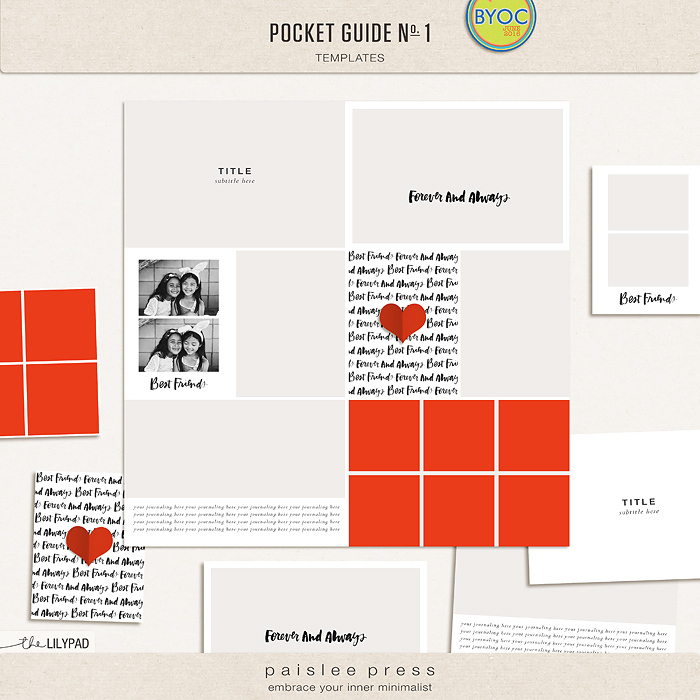 Elements also included as individual PNG files.